Tired of high churn rates and low revenues? Surely, it's a result of a bad customer experience. These customer impressions about your brand are of great value and can be gathered together for a further throughout review. 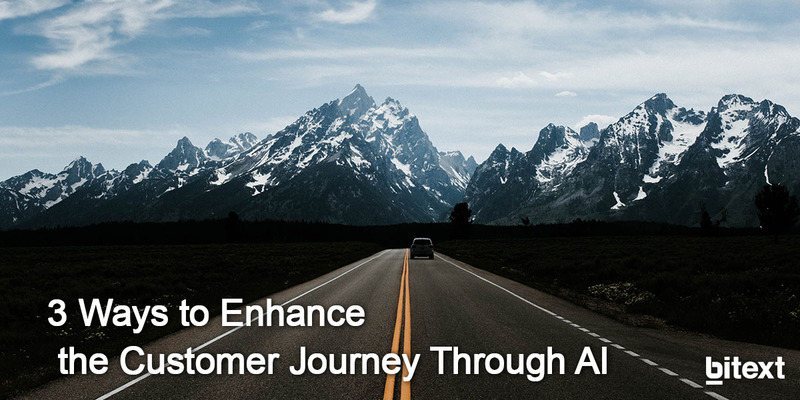 Believe it or not, these insights will incredibly help enhance all the steps of your customers’ journey resulting in better incomes. How Can Customer Experience Be Improved? Automating Customer Support. Chatbots are all the rage for e-commerce businesses right now. Thanks to these virtual assistants, enterprises are able to automate customer service functions saving great amounts of money and time. Those AI-powered conversational agents are easy to implement and can provide instant support via instant messaging, as the most popular way of social interactions. Nevertheless, companies must be careful with this two-edged sword since a chatbot with poor understanding skills will probably scare customers away. This can turn out to be very dangerous for companies, as one bad experience can crowd out several good ones. Only a well-trained chatbot will accurately respond to every request and process them efficiently enhancing the customer journey. Click here to see the wide range of Natural Language tools Bitext offers for that purpose. Analyzing Customer Sentiments. Here is where big data analytics come to the fore. Enterprises can benefit from tons of information drawn from their customer satisfaction surveys by analyzing them all. This task, however, has been always done manually and it was certainly a time-consuming burden. With the help of the latest technologies, Big Data can now be scanned in a matter of seconds leading to fruitful outcomes. Bitext tools for Customer Feedback Analysis are transforming the way companies perceive their customers’ insights and help them read between the lines to provide suited solutions according to customers’ expectations. Predicting Customer Behavior. The more you know about your customers, the better you can hit your target, improving, in the meantime, customer satisfaction. Never wondered why your Facebook News Feeds show you the stories that matter most to you? No worries, they are not hearing us, for now. This kind of customized content can be put together thanks to AI-powered systems and, therefore, help brands understand the personal needs of every customer. Consequently, businesses receive massive data inputs from customer activities and make use of it for a better customer experience increasing, this way, their income in the long run. Start now creating an effective customer journey through social media and regular surveys, Bitext will do the rest. Don’t forget either the way AI is empowering customer service interactions and guiding businesses towards automation – why should your company not get on board? The era of sweeping complaints under the carpet is over, make the most of these impressions and brush them away!